“YMPH” Series Motors interchange with Charlynn 101, Danfoss DH, White HS, Prince ADM. Economical rotor motors - high torque, low speed. 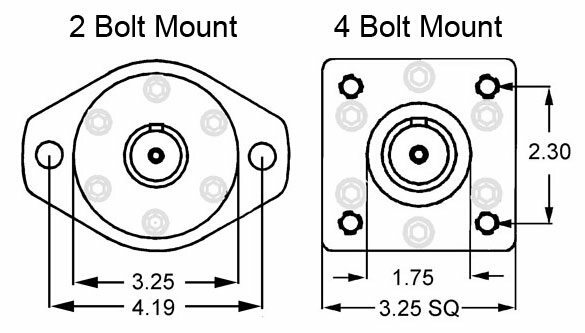 2 Bolt and 4 Bolt Mounts. Stocked with 1" keyed shafts & NPT ports (pipe thread). Other shafts & ports available - call us! CrossHole shafts in stock! View the complete specifications guide here.